Thank you for visiting Pocket Call Game Calls. We make deadly accurate and high quality game calls for predator, deer, squirrel, javelina, and bear. We have been manufacturing game calls for over 25 years and use the finest materials to allow for years of use and abuse. Each call is hand tuned to deliver superior results. Our game calls are made in the US and used around the world. 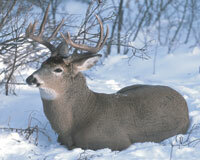 We are confident you will have great success using our game calls. While your at it, take advantage of our free shipping on all orders within the US. It doesn't matter if you are a seasoned hunting pro or just getting started, we could all use a little helpful information before we head out into the woods on our next hunting adventure. Learn some basic hunting tips as well as some advanced calling techniques that will increase your chance of seeing and killing more game. 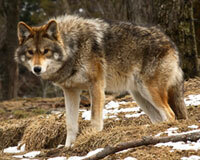 Check out our pages of useful Coyote Hunting Tips and Deer Hunting Tips. We also have an article about scent free hunting tips where you can learn our process of getting scent free and staying scent free during the hunt. Scent Free Hunting Tips. Call It + Kill It - Call it in close for a better shot. Sounds hard. Maybe it takes years of practice and skill. Maybe it just takes luck. Neither are true. Sure, good skill and some luck never hurt anyone. But using the right tool will deliver the right results. That is why our game calls are perfectly tuned to deliver great results. These calls are easy to use and have been proven for over 25 years. All you have to do is use them. The rest is up to you and your weapon of choice. Call it, pull the trigger or release the arrow, and kill it. That's our motto.